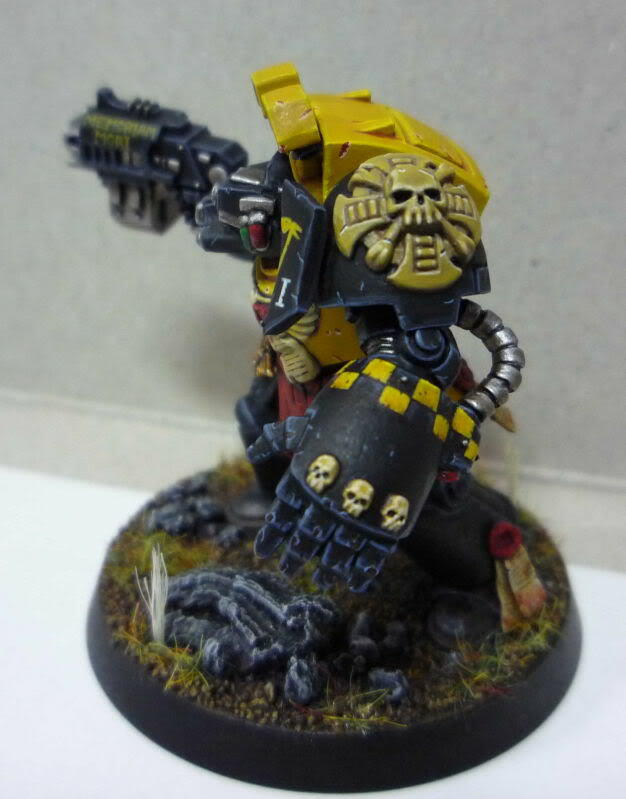 Ortez, along with most of his squad mates, was on the Heart of Sotha Scythes battle barge patrolling the Damocles Gulf borders with the Tau when Hive Fleet Kraken struck, so thus he survived the destruction of the rest of the First Company on their homeworld. On hearing the fate of Sotha, Ortez and his brothers made all hast back to the Scythes, arriving just in time to rescue the remnants of the chapter from their last stand on Miral. 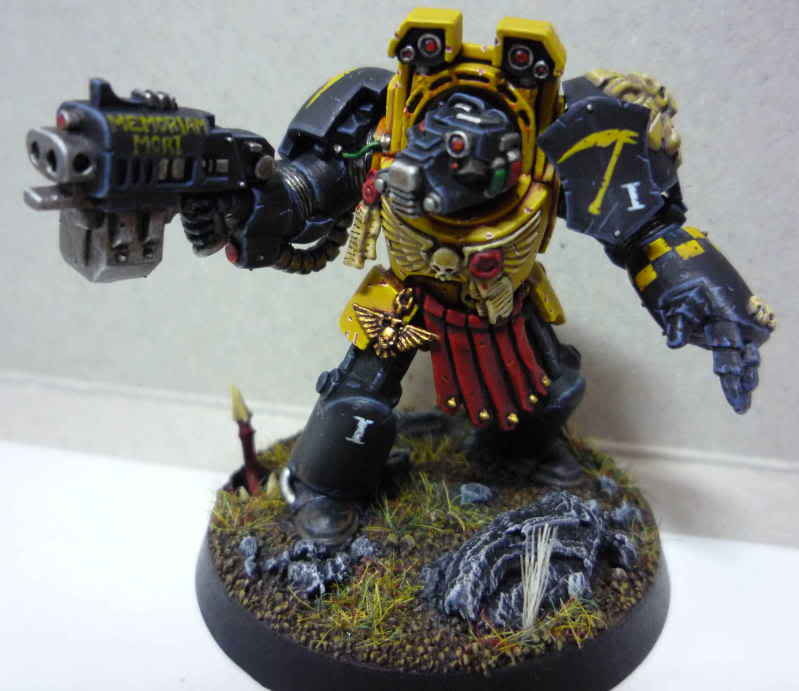 Ortez is driven by his great faith in the Emperor and the Imperium of Mankind and he believes Astartes chapters such as the Scythes are the greatest hope for the future. 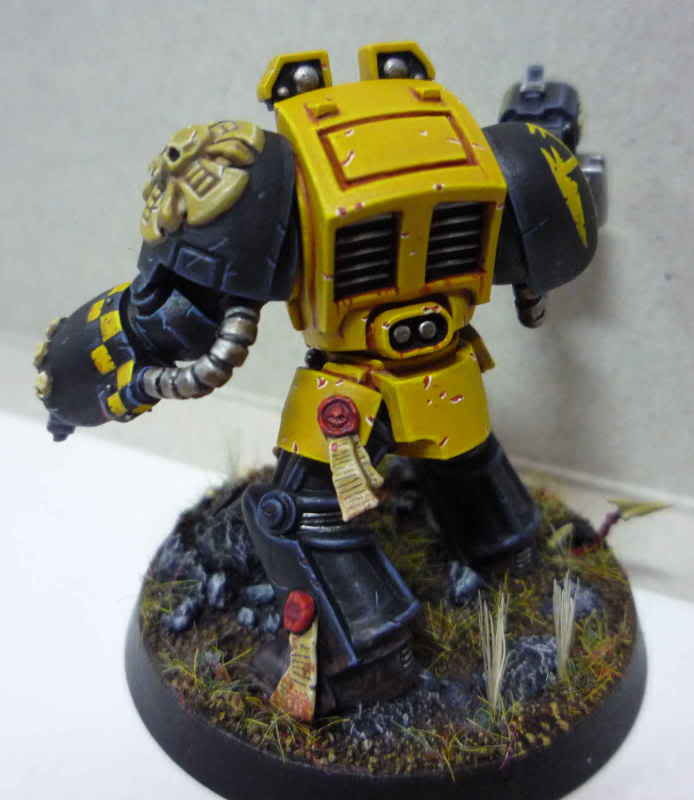 Ortez fights with passion, and he will destroy anything that stands in the way of the Imperium and his Chapter. 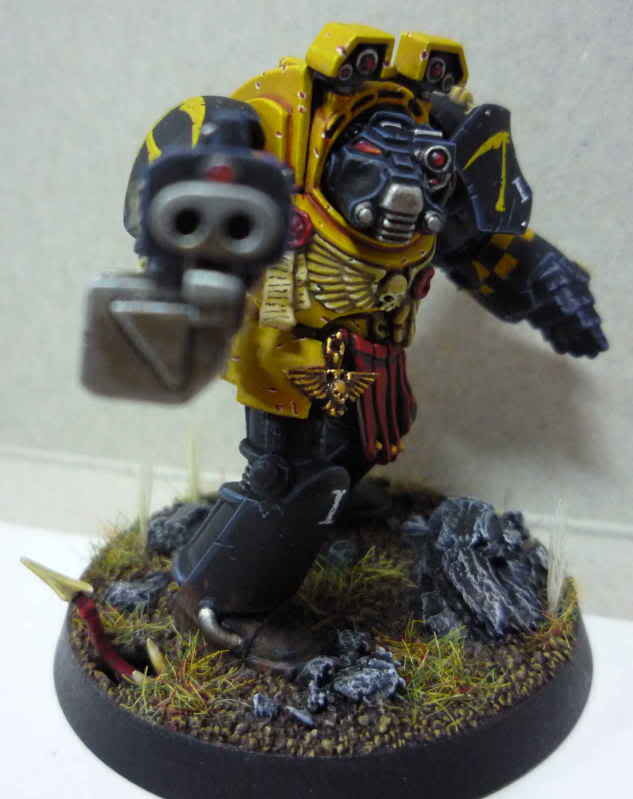 Chapter Master Thrasius has noted the strong faith that Ortez displays, marking him down for possible training as a Chaplain. 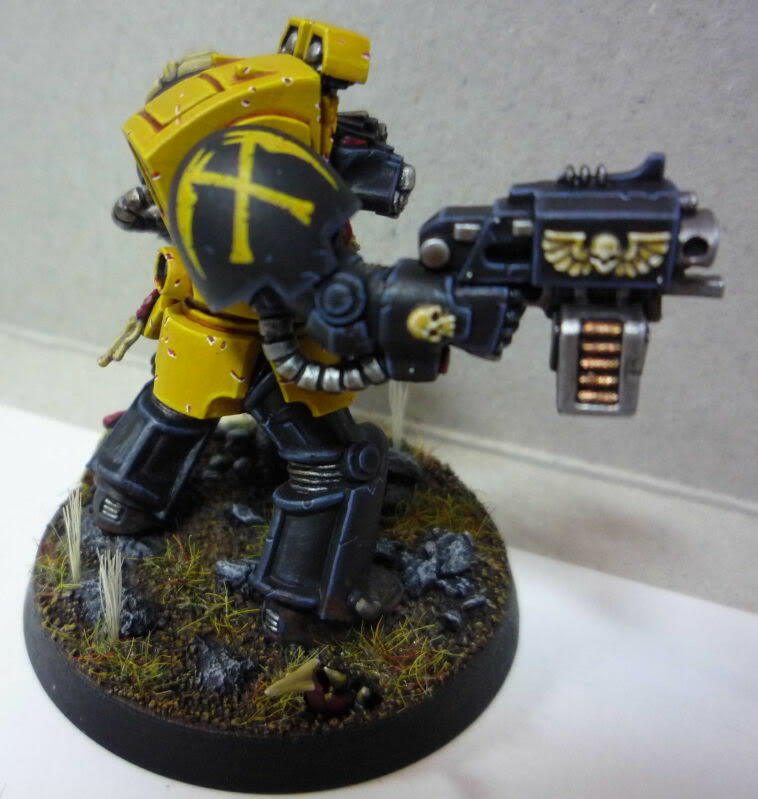 In these darkest hours of the Scythes, they need men like Ortez to light the way for their brothers! 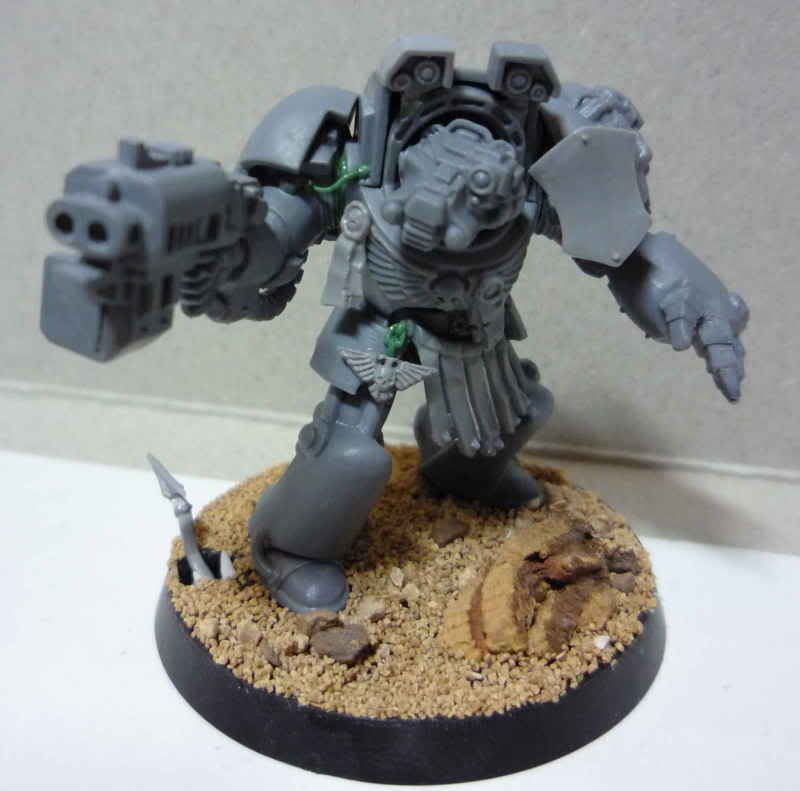 That’s a really nice Terminator Andrew! Will set to work on some of my own and send Seb some pictures.